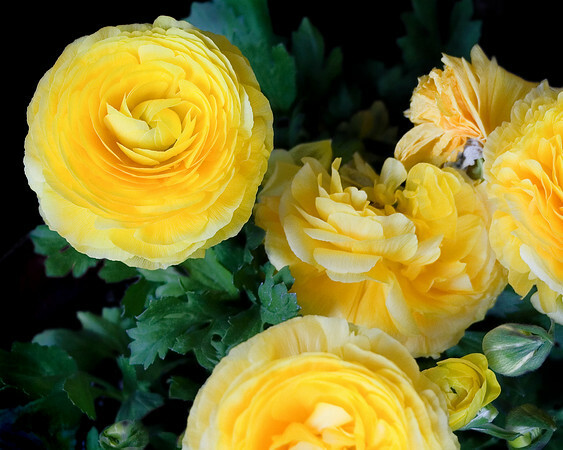 Ranunculus - a tuberous-rooted plant with peony like blooms. I bought several plants at the nursery in yellow, red and purple. They remind me of tissue paper flowers. The bright yellow says "Spring" to me.